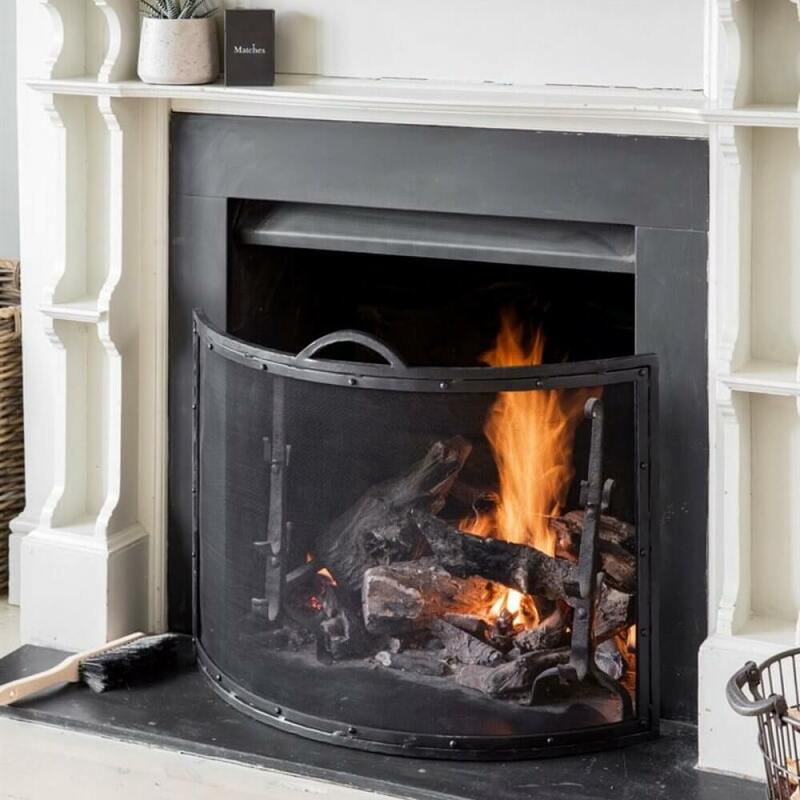 A beautiful, curved design, our Curved Firescrren will wrap around your hearth providing protection from sparking logs. 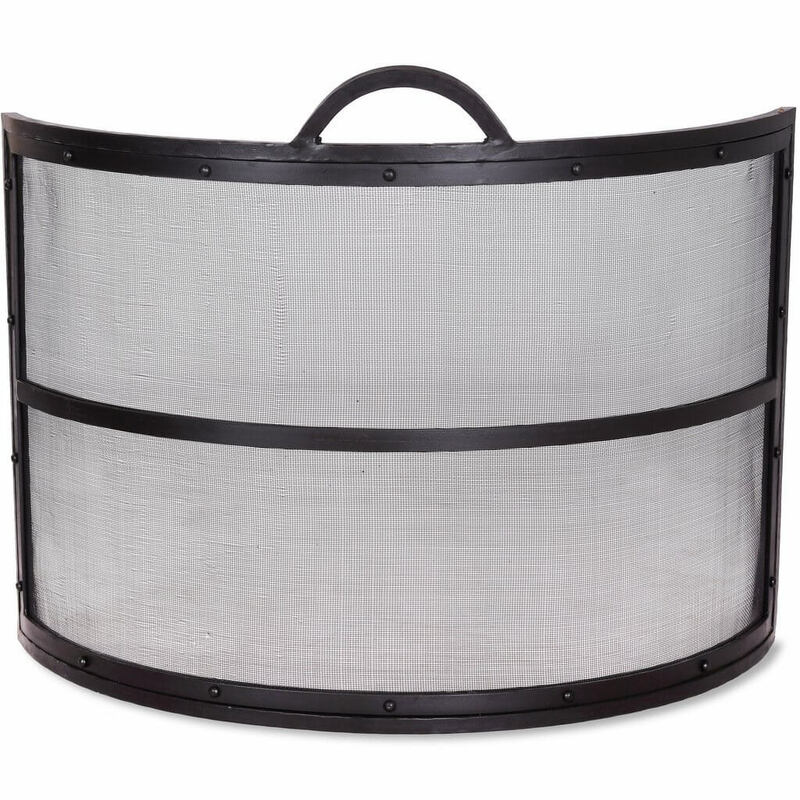 The solid wrought iron frame comes with an antiqued finish for a classic look. The curved mesh protects from the fire yet still allows you to feel the warmth on a cold evening. It comes complete with a handle to move easily when adding more wood to fuel the fire. PLEASE NOTE this product is currently being sold with an extra iron bar across the centre.